Sometimes we get tired of the noise and pollution in the city, afterwhich we realize that we would like to seek calm and solace in the mountains to rejuvenate our restless spirit. We have, therefore, chosen the best mountain resorts for you from northern to southern Philippines, where you can have the peace and quiet you deserve. 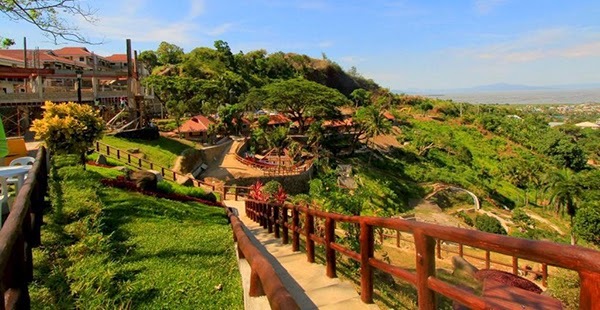 #1 - Mountain Woods Resort Inn: A sanctuary for the soul, this hotel is serenely nestled on a hill and commands a breathtaking, unobstructed view of the well preserved forest and Subic Bay. Unruffled and cozy, Mountain Woods promises solace from the hustle and bustle of city living. Its uncluttered country-style architechture provides a most conductive ambiance for relaxation. #2 - Camp John Hay Resort: Your home away from the city. The Manor at Camp John Hay and the Forest Lodge offers you the ultimate R&R experience. Its 177 luxury rooms with impressive interiors and lush view continue to wow visitors from all over the world. Dine and indulge at The Manor’s Le Chef Restaurant and Delicatessen by award-winning Chef Billy King or relax and sit by the fireplace at the Piano Bar & Lounge to complete your 5-star hotel experience. #3 - Ultra Winds Mountain Resort: A beautiful mountain resort near Cagayan de Oro that features horseback riding, a dual-cable zipline, a camp site, and an on-site restaurant. All rooms are exquisitely furnished, and feature a private balcony with breathtaking views of nature. #4 - La Vista Highlands Mountain Resort Paradise in San Carlos: La Vista Highlands Mountain Resort Paradise lives up to its name, offering truly heavenly fun, such as: its 1500-meter round-trip zipline, relaxing cable car and horseback rides, a breathtaking view of Mount Canlaon, coolest pine-scented breeze, coziest accommodations, tasty cuisines, and a captivating and romantic swimming pool. #5 - Eden Nature Park and Resort: A mountain resort 3,000 feet above sea level, Eden Nature Park is 95% man-made! It is a great model of how we can re-create nature and rebuild a lost environment. Discovered sometime in 1971, the resort used to be a logged-over area covered only by a blanket of wild grass. Its potential was, however, readily seen by the owners as the property provided an imposing view of Davao City and the Davao Gulf.